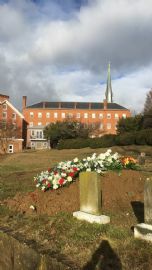 Final Resting Place of Henry Martyn Robert III at peace where he felt most at Home at St. Mary's with the Redemptorists. Future Council Hall Site at 610 Bestgate road next to Saint John Neumann church. Bringing the larger than Life OLPH ICON to the 150 Jubilee celebration 2016. 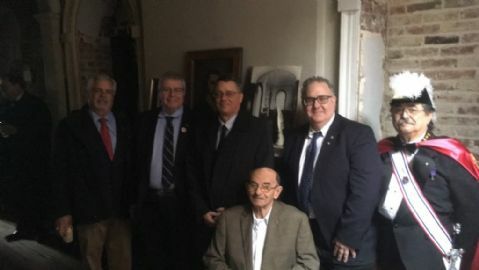 Knights of Columbus Council #1384 was chartered in 1909 in downtown Annapolis, Maryland. One of our earliest Grand Knights was Charles A. Zimmerman, Bandmaster of the U.S. Naval Academy Band and author of the unofficial Navy song, "Anchors Aweigh". Our Future Council Hall will be located at 610 N. Bestgate Rd, Annapolis, MD 21401 on property next to St. John Neumann Catholic Church. Casey Bingo - Bingo which began at St Mary's Church continues today run by our Council. We hold bingo every Friday in Seelos Hall located at St. John Neumann Church. 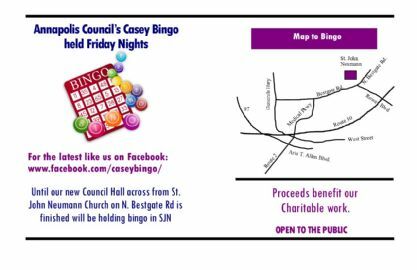 Check out our Facebook page (www.facebook.com\caseybingo\) for the latest with schedule. Council Meetings - During the planing and building of our new Council home we will hold meetings (1st Tuesday of the month) at Our Lady of Perpetual Help (OLPH) Catholic Church located at 515 Loch Haven Road, Edgewater, MD. Take Central Avenue East, turn right at Loch Haven and OLPH is on the right. Loch Haven is where the BP gas station is located. 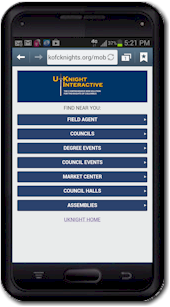 Our phone number for the Council remains 410-224-4242. The current Grand Knight is Raymond P. Sears.